Tibet Telegraph: Is China Really Loosening Its Tibet Policy? Is China Really Loosening Its Tibet Policy? Reports that Beijing is “experimenting” with its Tibet policy have surfaced recently, with suggestions that it waslifting – unofficially at least – a decades-old ban on the Dalai Lama’s image in certain ethnic Tibetan regions. Some outside observers saw it as a new gambit under recently inaugurated President Xi Jinping to appeal to Tibetans and put an end to the series of self-immolations that have damaged China’s human rights image. Beijing quickly refuted the reports. But analysts believe Chinese authorities would want to keep any changes quiet, which for now are likely being tested in certain areas. For the moment, then, it’s a matter of wait and see. Since 1994, Beijing authorities have run a particularly hostile campaign against the exiled Tibet’s spiritual head, the Dalai Lama, including prohibitions on the display of his photographs and requirements for monks and nuns to denounce the Dalai Lama. 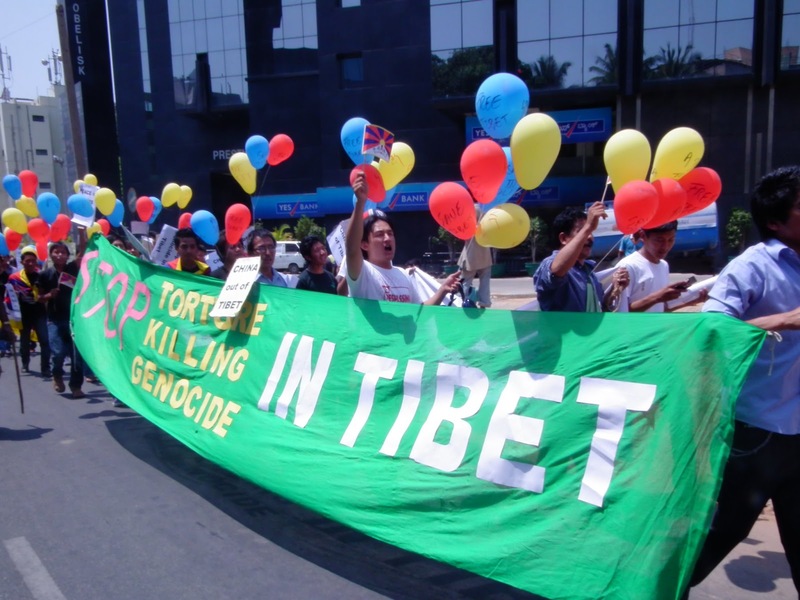 The policies led to mass protests inside Tibet in 2008 as well as ongoing religious suppression in the region. “News of discussions on a softer approach to the Dalai Lama in Tsolho (Chinese: Hainan) Tibetan Autonomous Prefecture in Qinghai (the Tibetan area of Amdo) emerged on a Chinese website and from Tibetan sources in the area following three meetings held in a monastery in Chabcha (Chinese: Gonghe) and the provincial capital of Xining,” said the rights group International Campaign for Tibet (ICT), which is based in Washington D.C.
That news coincided with the publication of bold new suggestions of engagement with the exiled Tibetan spiritual leader the Dalai Lama and a critique of Tibet policy by Professor Jin Wei, director of ethnic religious studies at the Central Party School. In an interview given to Hong Kong’s Asia Weekly on June 12, she said that treating the Dalai Lama as an enemy is alienating the six million Tibetans who believe he is the living Buddha: “The Dalai Lama is the key to the issue of Tibet,” she added, recommending that China re-start its stalled dialogue with him and invite him to Hong Kong or Macau. She also proposed negotiating with the Buddhist leader about his next incarnation, and in the future, allowing him to return to Tibet itself. Jin further suggested that Tibet policy be taken away from Hu Jinato’s supporters, who in the past have insisted on a hard-line policy on Dalai Lama, resulting in religious suppression on the Himalayan plateau. Tibet watchers note that the professor was unlikely to have made her comments without official approval. Kate Saunders, spokesperson for the Washington-based International Campaign for Tibet (ICT) not only confirmed for The Diplomat that certain experiments in some areas are undergoing, but also indicated that a strategic rethink seems be underway. “Both the Qinghai (the Tibetan area of Amdo) proposals for a new approach and the Jin Wei comments indicate that the current leftist, conservative hard-line policy on Tibet is being questioned and discussed within the PRC. 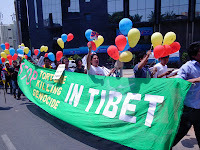 Since the 2008 protests and crackdown, Chinese and Tibetan officials and intellectuals are known to have expressed concern about the increasingly aggressive rhetoric against the Dalai Lama and its detrimental impact – there seems to be a deepening acknowledgement now that the anti-Dalai Lama campaign has been counter-productive,” she said. Meanwhile, U.S. ambassador to China Gary Locke made a rare visit to Tibet recently, where he met with residents and officials and urged Beijing authorities to allow foreigners to travel more freely in the tightly controlled region. Locke also called for the opening of a US consulate in Tibet Autonomous Region (TAR) capital Lhasa. It is the first time Chinese authorities had approved an embassy request to visit Tibet since September 2010, and comes after continuous U.S. calls for the Chinese government to hear grievances of the Tibetan people and open access to the region. Tibet policy was static under the leadership of Hu Jinato, but the arrival of new Chinese President Xi Jinping may have opened the door to new thinking. Still, analysts advise caution. “As we can see from the recent articles, some public criticism by Beijing scholars of Tibet policy during the Hu Jintao era is now emerging, the first that has been seen for some decades, and that can be seen as a signal to the remnants of Hu's supporters that the new leadership is now in charge,” he added. “These words are only hesitant and are mixed messages; sadly there is still no sign of a loosening of Chinese control over the police state that China has turned Tibet into,” he added. The government in exile, too, has categorically denied that Beijing is easing its hardline policy, but are nonetheless ready to appoint a new envoy for further talks, according to Samphel Thupten, the director of Tibet Policy Institute (TPI), a think tank of Central Tibetan Administration based in Dharamsala. In the meantime, in a new report, Human Rights Watch (HRW) noted that millions of Tibetans have been rehoused and relocated inside Tibet since 2006 as part of the “Build a New Socialist Countryside” and “New Socialist Villages” campaigns, a program that according to HRW aims to exert tighter political control over ethnic Tibetans and deepens the devastating impact on traditional Tibetan society by fracturing families. Perhaps Beijing is realizing that its current policy is not working. Certainly, the recent criticism by one of its own scholars handling of Tibet is the first public suggestion in more than two decades that a softer approach to Tibet could be in line. Then again, like his predecessor Xi Jinping may simply be looking for another way to influence the Dalai Lama’s next incarnation and exert even greater control over the region.